Is there a better alternative to Tulula: Legend of a Volcano? Is Tulula: Legend of a Volcano really the best app in Adventure category? Will Tulula: Legend of a Volcano work good on macOS 10.13.4? Tulula: Legend of a Volcano ... Become The Chosen One in Tulula: Legend of a Volcano, a wonderful journey to save a small tribe from an evil spell. you. Can you find the totem stones to break those evil magical binds and help the tribe live free once again as the prophecy foretells? Right mouse button now functions bug-free for dropping objects whenever you need. Tulula: Legend of a Volcano needs a review. Be the first to review this app and get the discussion started! Tulula: Legend of a Volcano needs a rating. Be the first to rate this app and get the discussion started! Commence your journey and find out in this enchanting seek-and-find quest. Visit a shaman and let him guide you through underground caves, dense jungles, deserted islands and high mountains in search of the totem statues. Explore more than 30 fascinating scenes in all, solving intriguing puzzles, meeting colorful characters, and playing marvelous mini-games. It's a mesmerizing adventure fit for the whole family! Break the spell of an evil spirit in this entertaining Hidden Object adventure. Find the totem stones scattered all over a magical island. Visit over 30 fascinating areas including underground caves and dense jungles. 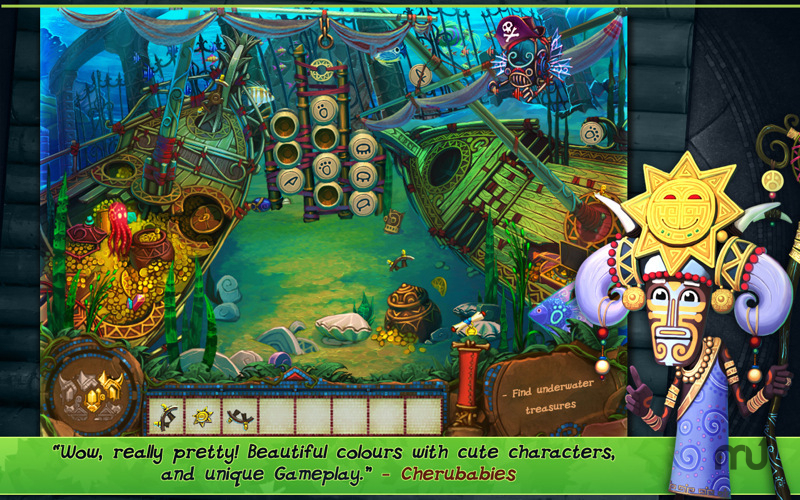 Solve intriguing puzzles, meet colorful characters, and play marvelous mini-games. Enjoy this mesmerizing adventure with the entire family.